Dr. Jason Adams is a pulmonology specialist in Sacramento, California. He graduated from the medical school of the University of California San Francisco. After graduation, he completed a residency at the Stanford University and a fellowship at the University of California-Davis. Dr. Adams is a board-certified specialist in Pulmonary Disease. 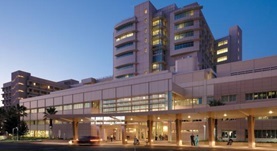 At the moment, he is affiliated with the UC Davis Medical Center. Dr. Jason Adams has contributed to 1 publications. Draft Genome Sequences of Escherichia coli Strains Isolated from Septic Patients. Dunitz, M. I.,Coil, D. A.,Jospin, G.,Eisen, J. A.,Adams, J. Y.; Genome Announc. 2014 Dec 20.